Product #676 | SKU 394 | 0.0 (no ratings yet) Thanks for your rating! The sturdy Manfrotto 394 Low Profile Quick Release Adapter is an RC4 type quick release assembly system that comes with 1/4-20" and 3/8"-16 capacity, both on the camera and tripod ends, and comes supplied with the 410PL (RC4) quick release plate. 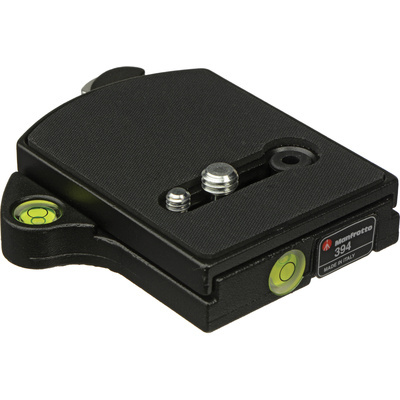 The RC4 quick release base also includes a horizontal and vertical bubble level.